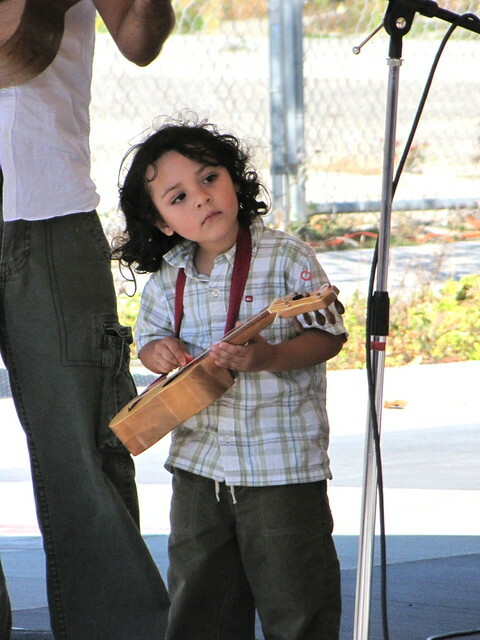 This tiny ukelele player stole the show as part of the Seattle Fandango Project. Photo by Wendi. 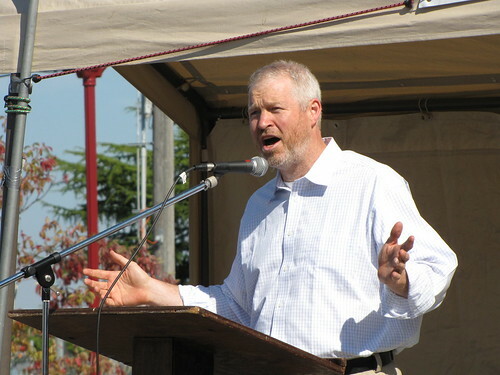 Mayor Mike McGinn spoke during the dedication of Roberto Maestas Festival Street. Photo by Wendi. 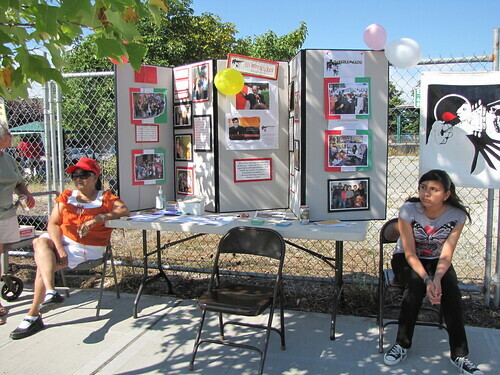 El Centro representatives with a display at Beacon Rocks! Photo by Wendi. 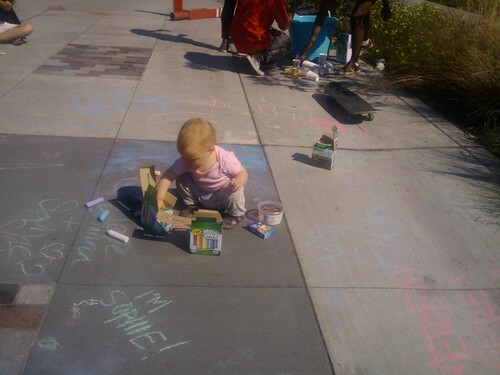 Baby Sophie enjoys sidewalk chalk. Photo by Melissa Jonas.